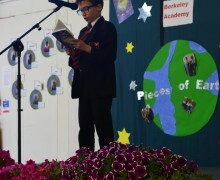 On Monday 2nd July, Berkeley Academy launched ‘Pieces of Earth’, a beautiful anthology of poems and short stories written by children from Years 4 and 5. 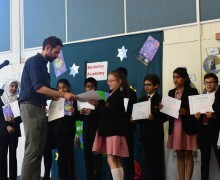 Writer-in-resident Ross Raisin, a published children’s author and Granta Under 40 Best Novelist, has worked with a group of fifteen pupils since September to explore the process of creative writing, develop their ideas, discuss and respond to issues around the world and showcase, then improve, their writing on a weekly basis. 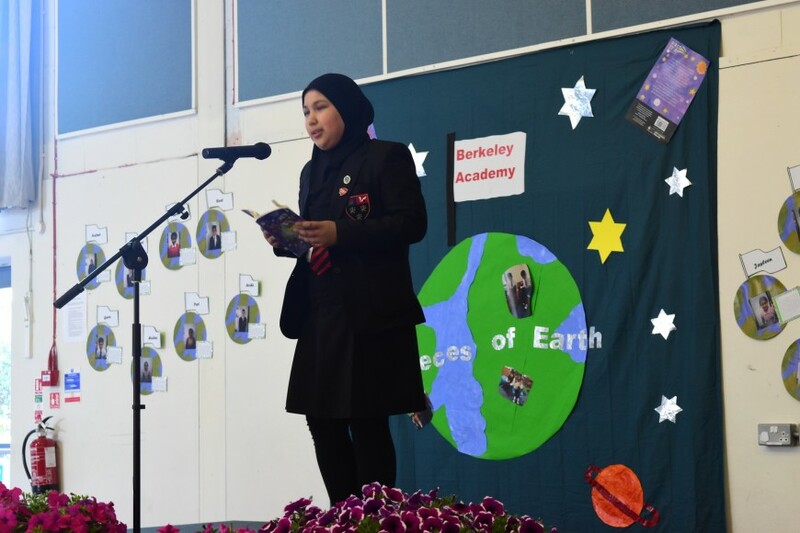 ‘Pieces of Earth’ is a collection of quirky, moving and imaginative pieces of writing, also featuring poems inspired by the stories of refugees who I met during a trip to Minnesota, America. 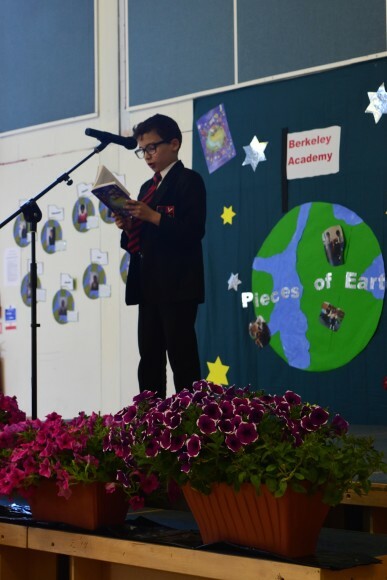 Berkeley Academy is still the only primary school in the country to take part in the First Story project and the pupils who presented their stories and poems conducted themselves with maturity and read with clarity and expression. 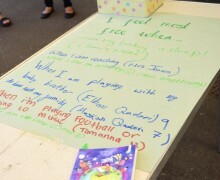 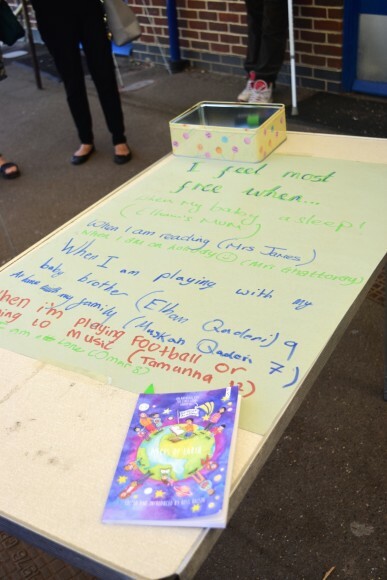 Before the readings began, guests enjoyed refreshments and took part in an activity to celebrate National Writing Day. 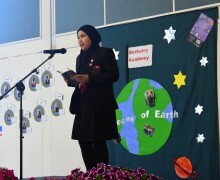 It was wonderful to see the students assume such pride for their work and parents, carers and guests who attended were impressed by the imaginative ideas presented and the confidence with which the pupils read. 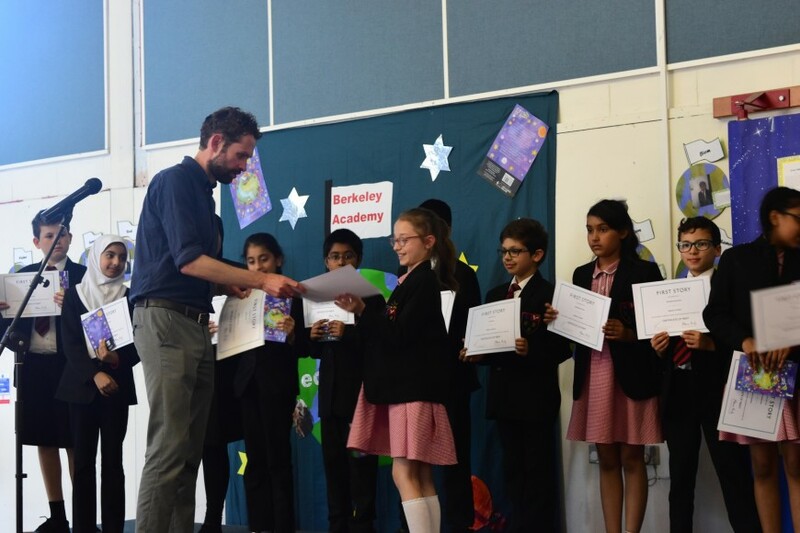 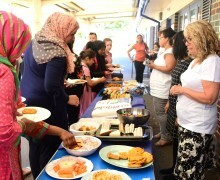 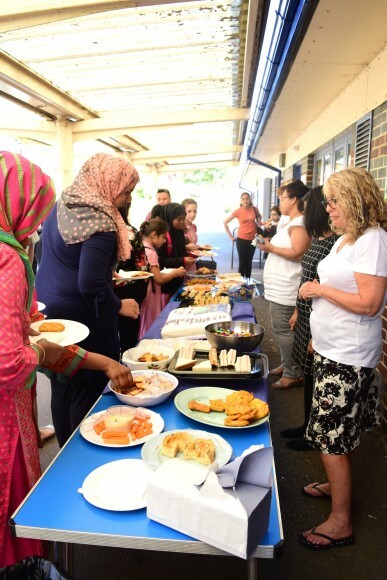 This was a fantastic opportunity to celebrate the hard work and creativity of the students at Berkeley Academy, along with their parents, carers, staff and members of the community. 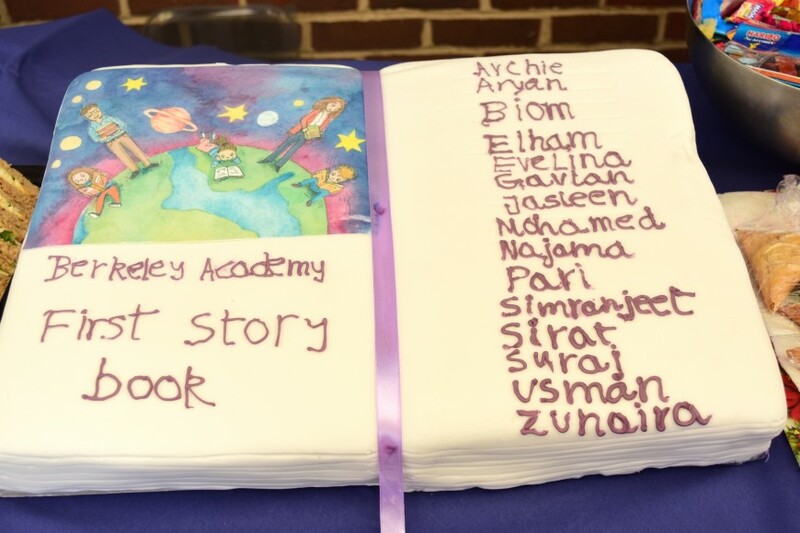 Congratulations to the First Story 2017-2018 group: Archie, Aryan, Biom, Elham, Evelina, Gavin, Jasleen, Mohamed, Najma, Pari, Simranjeet, Sirat, Suraj, Usman and Zunaira. 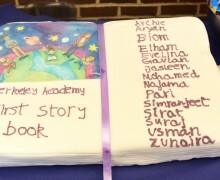 I am sure we will see your names in print in the near future!